Panasonic rolls out BBC iPlayer across all 2011 Viera Connect TVs | What Hi-Fi? 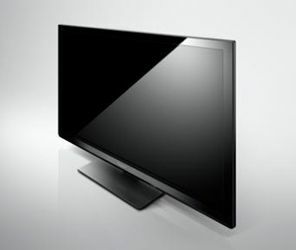 Panasonic has confirmed that BBC iPlayer will be available on all its 2011 Viera TVs equipped with Viera Connect, its cloud-based internet portal. Previously iPlayer was available on Freesat Viera models and the company's Blu-ray/DVD Freesat recorders. Now 70% of Panasonic's 2011 TVs get the BBC catch-up service, along with a range of other services including games, social networking, music and video. Ustrream and SHOUTcast are among the new music and video services provided, joining existing ones such as YouTube, Acetrax and DailyMotion. Social networking apps added to Viera Connect include Facebook and CineTrailer.TV, sitting alongside Picasa, Skype and Twitter. And if games are your thing, there's black jack, chess, poker, solitaire and mahjong fruits. You can get the full breakdown of Panasonic's 2011 product range in our dedicated blog.